Where did March go? I seemed to have blinked and missed it although the end of March does signal the being of the school Easter holidays so for that I am thankful and looking forward to some fun filled days ahead. I’m hopeful that the weather cooperates so that we can enjoy trips out, an Easter egg hunt or two along with a day of two of rest to recuperate after all our adventures. I’m joining in with Family Four Fun’s #FunFinds linky again this month as I loved the opportunity to tell you about ‘fun finds’ I have seen throughout March. Drayton Manor Theme Park is set to be bigger and better than ever in 2015 with a £2.5 million expansion that will see Europe’s only Thomas Land™ increase in size by 40%. With three brand new rides plus a stunning new Sodor Airport terminal, Thomas Land™ will have even more to create a magical day out for Thomas fans in 2015. Opening over Easter, the new rides include Flynn’s Fire Rescue, Captain’s Sea Adventure and Toby’s Tram Express. The exciting new Thomas Land™ captures all the adventures of Thomas & Friends™ and the magical island of Sodor, with a central feature of the stunning new two-storey Sodor Airport. In a traditional terminal style it has a top-level balcony for VIP ‘travellers’ with not-to-be-missed views of Thomas Land™. The area has five themed rooms, opening in summer 2015, that will be available for private hire for events, parties or large family groups looking to make their day out extra special! The ground level will feature a café for guests to relax and enjoy a selection of hot and cold drinks and snacks before they depart for their Thomas Land™ adventure. 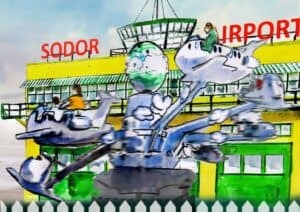 Jeremy Jet’s Flying Academy will also be landing in its new location outside Sodor Airport, ready to take passengers on their flight over Sodor. The first of the new Thomas & Friends character rides is the fast and fearless Flynn the Fire Engine who is equipped with on-board hoses so riders can help to put any fires out! There is also Captain’s Sea Adventure that introduces not one, but six rotating Captain lifeboat carriages, all complete with their own cannons to squirt water. Toby the steam tram who wobbles, spins and turns also arrives with the new Toby’s Tram Express! Merrick the sleepy gantry crane will also be joining Blue Mountain Engines Sir Handle, Skarloey, Rheneas and Peter Sam all the way from Skarloey Railway where visitors simply climb aboard and enjoy the ride. 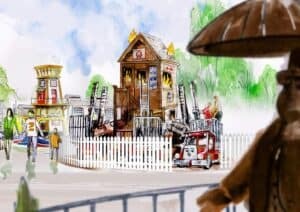 In addition to the new rides and café there will also be a fountain of the ever-popular Fat Controller and three Victorian fairground games plus a bandstand for live performances. 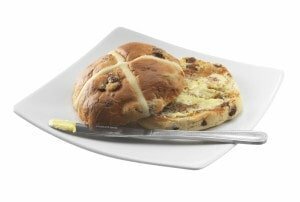 Costa’s product of the month, the Hot Cross Teacake – a soft sweet dough jam-packed with juicy sultanas and jumbo Chilean flame raisins, hand finished with an Easter cross. The Hot Cross Teacake is bouncing back to Costa stores this Easter as part of the delectable Easter menu and is available for just £1.65. The first English Hot Cross Teacake is rumoured to have come from a monastery in St Albans in 1361, but some think the delicious treat dates back to Roman times! Keeping a Hot Cross Teacake in your kitchen helps protect your home from a fire – if you can resist eating it! Hot Cross Teacakes have been an integral part of Good Friday celebrations since Tudor times – long may this tradition continue! 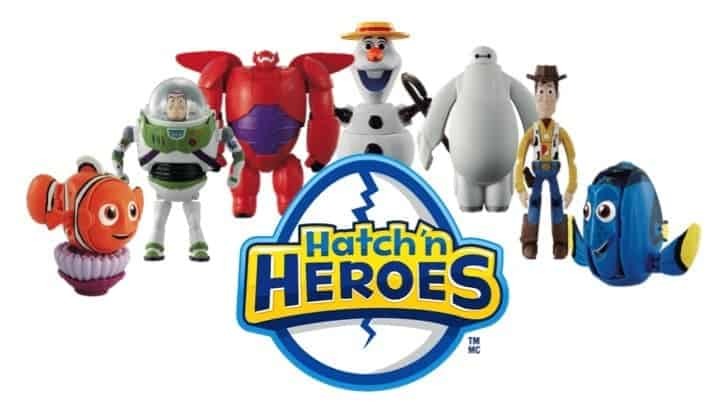 Have fun turning Hatch ‘N Heroes eggs into some of your favourite characters from Disney’s much loved movies! Olaf from Frozen – He’s super cute in Hatch ‘N Heroes form with his little carrot nose! Nemo or Dory from Pixar’s Finding Nemo – can you give them a happy home? 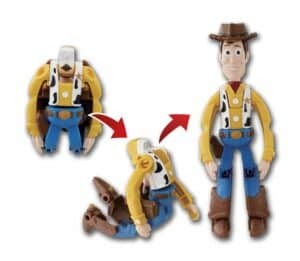 An adorable new pocket-money collection of articulated figures that turn from egg to hero in a few simple steps! To celebrate the start of spring, AVEENO® are launching the second in their trilogy of eBooks – “The Dry- ventures of Ellie and Eddie… Happy Skin Holidays” – available to download now that sees Ellie and Eddie go on a family holiday and make a new friend Harry. Holidays are an exciting time for families. but maintaining a skin care routine when out and about exploring the great outdoors can cause problems for parents and children just like Ellie. Some mum’s (13% of those surveyed in 2014) have admitted that often their child cannot attend various activities and social events because of their dry skin and on occasions, family outings are distrusted or altered. With regular application and a daily routine being key to the successful management of dry, eczema-prone skin it’s important to give parents the support they need, especially when the spring and summer holidays are just around the corner! AVEENO® is available to buy from all leading supermarkets and chemist chains. Previous Post: « Have you packed for Wales? I hadn’t realised quite how big the Thomas Land extension is going to be. We are so excited about it. Perhaps we will see you at the opening? Ooo I love the sound of those Hatch n Heros – they look just like Ozzys sort of thing! You can’t beat a good tea cake can you? I remember having them as a snack when I got home from school. There is nothing quite as yummy as a hot cross bun! In fact I fact I may have to go grab some for breakfast! I don’t think I could manage to keep one to protect from fires – they are just too tasty! I’ve recently discovered Aveeno and am absolutely loving it! 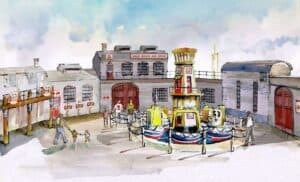 Great to read about the plans for Thomas Land, I’m hoping to go this summer so the extension is great to convince the OH that there’s enough to do with little ones. I’ll look forward to more tips in April!! We have been to Thomas Land at least once a year since Roo was 2 years old, so much to do within Thomas Land, the zoo and Drayton Manor itself. We love Aveeno and have been using it for years. It really works for my boys skin. My two always loved Thomas Land when they were younger. I love that it specifically designed for train mad little ones. I really want to get to Drayton Manor Park soon, I think the little ones would love it and the new bits sound brilliant! We haven’t made it to Thomas Land yet but with the expansion it looks like it is even more awesome. Such a brilliant set of #FunFinds!! I have heard so many good things about Aveeno when looking into products for my very easily irritated skin. Hatch n Heros sound like a great alternative to chocolate for an Easter Gift and Hot Cross tea cakes – very yummy!! Oh wow! The Thomas Land extension sounds amazing! It’s going to be huge – so much fun to be had. I think if we can manage a trip back to the UK we’d better factor in a visit there. Some great finds. I need to visit Drayton Manor again soon. The girls saw the Hatch n Heroes and want me to get some now! Looks like Naughtybikes first big ride since repair will be Toys R Us . A whole land dedicated to Thomas? That’s awesome! Look forward to that opening… we will definitely make the trip for that one! Oooooh – ThomasLand is actually on our list of places to take the kids this year as they’re both huge fans and Master C is just about old enough to appreciate it now. Looking forward to going even more now! Thanks for sharing the Thomas Land news. My son loves it there, and would definitely want to try out the new rides. Great finds, I’m looking forward to the summer and having some days out.